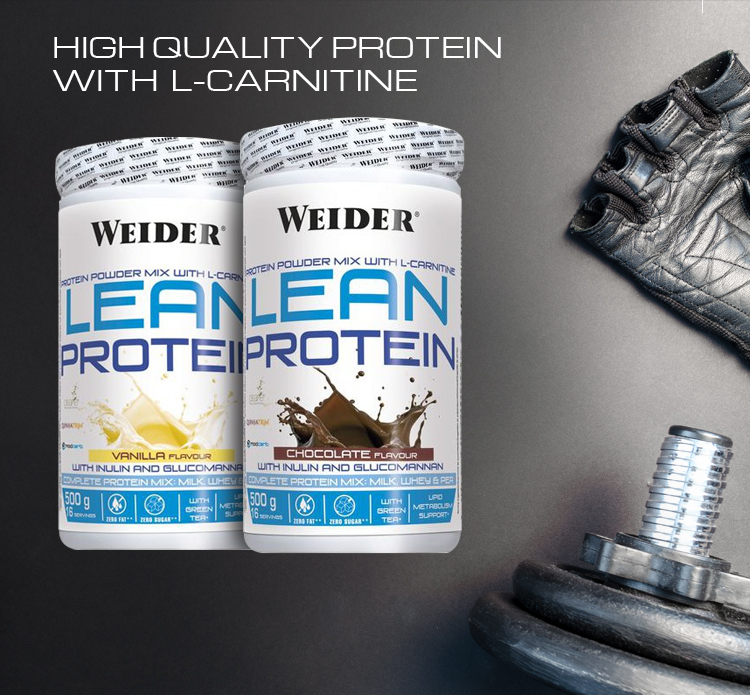 Weider L-Glutamine is a 100% pure high-quality glutamine powder drink formula which is primarily used to shorten recovery periods between workout units. 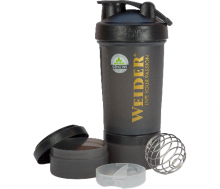 This enables you to train more intensively in a shorter period of time and enables you to see the results of training more quickly. 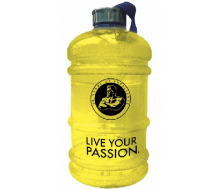 L-glutamine is a semi-essential amino acid and cannot be generated by the body in sufficient amounts during intensive training. 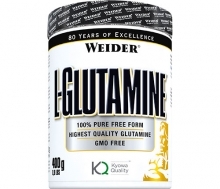 Since l-glutamine makes up 60% of the amino acids in the amino acid pool of the muscles, it is very important to restore losses due to intensive workouts. 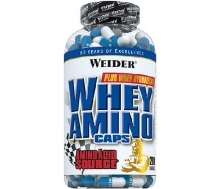 Weider Whey Aminos is composed of pure whey protein hydrolysate tablets with fast resorption providing quickly available amino acids. 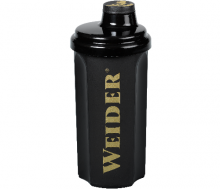 The new Weider Yippie! Bars are our first filled bars with six different layers, comprising a crispy protein layer, a creamy protein filling, a delicious caramel-flavour glaze sprinkled with crispies or peanuts, covered in milk chocolate, and with chocolate decoration. 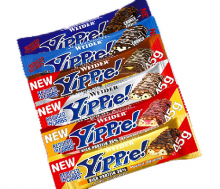 The Yippie! 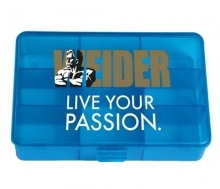 Bar can be characterised by its exceptional taste sensation and 36% protein content. The carbohydrates are lower than in other similar bars (“reduced in carb”).